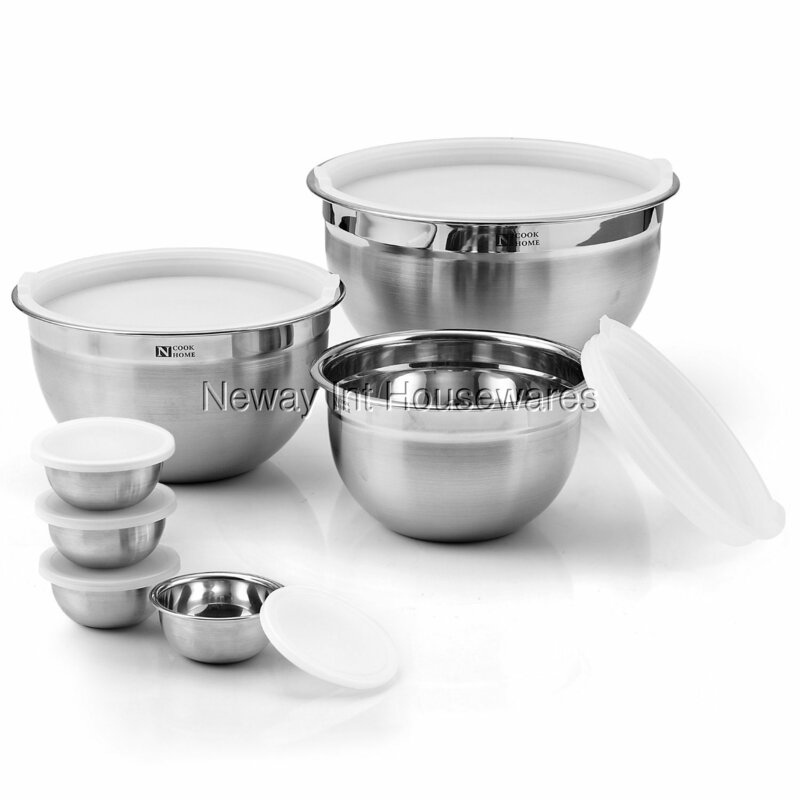 The Cook N Home 14-Piece Stainless Steel Mixing Bowl Set with Lids includes: 5 quart, 3 quart, 1.5 quart, and 4 pinch bowls. All bowls come with tight seal plastic lids and are stackable to save space. Made of high quality stainless steel with a fine polished surface. Mixing bowls are ideal for all prep work in the kitchen. 4 pinch bowls can be used for storage, seasonings, sauces, etc. 5 quart measures 10 in. diameter by 5.5 in. height. 3 quart measures 8.5 in. diameter by 4.75 in. height. 1.5 quart measures 7 in. diameter by 4 in. height. Dishwasher and freezer safe. Please do not use on stovetops or in microwave.